The United States appears to be in a hurry to bring about a regime change in Iran but its biggest problem is that it does not know how to go about it. In recent weeks, the US has increased its Iran-bashing tempo and intensified diplomatic efforts aimed at forcing Tehran to give up its uranium enrichment programme. US Secretary of State Hillary Clinton and other top diplomats are in the West Asian region, meeting presidents and kings and telling them they should back US efforts aimed at neutralizing the threat Iran is posing to the countries in the region. Clinton, in one of her controversial comments during the tour, described Iran as a budding military dictatorship and indicated that the United States was on the side of the oppressed majority silently suffering in Iran. Obviously the Clinton remarks indicate a US move to take advantage of the political division within Iran — a division which was exacerbated after last year’s controversial presidential election, which the incumbent president, Mahmoud Ahamdinejad, won. Washington wants to befriend Iran’s opposition parties and groups, including a section of the clergy, who have been sidelined. The US believes that such ties with the opposition will be useful not only in the event of a regime change that could come about if the US plans work but also in the event of a war with Iran. But it is here that the US is making a big mistake. Iranians are diehard nationalists. In times of crisis, nationalism rises above political divisions and unites people. An external threat to Iran’s existence is just what the Ahmadinejad government needs to consolidate its hold on power. In marketing the US’ perception on what is happening in Iran, Clinton said: “We see that the government of Iran, the supreme leader, the president and the parliament are being supplanted, and that Iran is moving towards a military dictatorship,” Clinton told a gathering in Qatar’s capital of Doha. The Time magazine website in an article on Wednesday went one step further and insisted that Iran’s Revolutionary Guards had already taken over the country in a silent coup. These comments by US officials drew fire from the relatively sedate Iranian spiritual leader Ali Khamenei on Wednesday. He hit out at the US saying Iran would oppose not only US ambitions in the region but also the entire American-dominated global system. “We make it clear here that we are opposed to several countries dominating the world and we will fight this system and will never let several governments play with the fate of the world,” he said. One of the aims of Clinton’s visit to the region, analysts say, is to win an assurance from Saudi Arabia and other oil-producing Gulf States that they would increase their oil supplies in the event the region is destabilized by an attack on Iran either by the US or by Israel. Top US diplomats and military officers are also touring the region and meeting Arab leaders to win their support or their silence for a possible military action on Iran. Clinton made no effort to hide that one of the aims of her visit to the region was to ensure the stability of the oil market. Obviously, she was addressing the concerns of China, which had been opposing Western moves to bring tough sanctions on Iran — sanctions which could impose a total ban on Iran’s oil exports. Clinton wants Saudi Arabia and other Gulf states to meet the shortfall in oil supply when the proposed sanctions take effect. If this assurance is obtained, the US hopes to pressurize Beijing to back the sanctions. But will this happen? China’s ties with Iran, which is Beijing’s third largest oil supplier, are not confined to oil deals alone. They also operate in the realms of intrigue-ridden global politics. 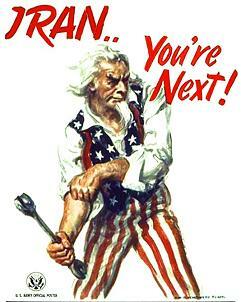 China, like Iran, is opposed to US hegemony though it does not state it openly. China is suspicious of the US presence in West Asia and Afghanistan, and feels it could be a threat to China’s interest in Central Asia and the Indian Ocean. Some analysts believe the instability in Pakistan’s tribal areas and Baluchistan is being deliberately engineered by anti-China forces to prevent China from extending a highway from its western borders to the Gwadar port in Pakistan’s Baluchistan province. Once this highway becomes operational, it will make China geographically close to West Asia and help it save billions of dollars in transport costs. China and the US are also engaged in a “great game” to keep Central Asia within their sphere of influence. China, with Russia’s help, appears to have won this battle for Central Asia; but the US has not given up its ambitions in the oil-and-gas-rich region totally. In recent weeks, US-China relations have been strained by a series of US moves which Beijing saw as hostile. Among them were the sale of advanced weapons to Taiwan and US President Barack Obama’s meeting Tibetan spiritual leader the Dalai Lama yesterday despite Chinese protests. Given these factors, it is unlikely China would back the sanction and lose the friendship of Iran, which Beijing regards as a natural ally in its growing cold war with the US. Russia, meanwhile, said it may back the sanctions, though it is opposed to any military action against Iran. Unlike China, Russia stands to gain irrespective of whether sanctions are imposed on Iran or not. If there are no sanctions, Russia will continue to be Iran’s main supplier of weapons and machinery. If sanctions come into play and prevent Iran from selling oil, then Russia will benefit from the high oil prices, for it is one of the main oil producers and exporters. On Tuesday, Iran’s President Ahmadinejad warned that Iran would not bow to pressure and would respond to sanctions in such a way that countries backing the sanctions would regret their decision. “If anybody seeks to create problems for Iran, our response will not be like before,” he warned. Ahmadinejad in a recent address also said Iran would enrich uranium to 20 percent and manufacture its own rods for what he called medical research if the International Atomic Energy Agency did not cooperate. Iran has so far gone up to 3.5 percent enrichment. Twenty percent will take many more centrifuges and efforts. In short it is no easy task. Even the Americans acknowledge this. Thus it was no surprise that Ahmadinejad’s 20 percent move was ridiculed by White House spokesman Robert Gibbs. So why all this fuss about sanctions and military strikes on Iran? It appears that the US has an existential problem. It cannot live or survive without an enemy.